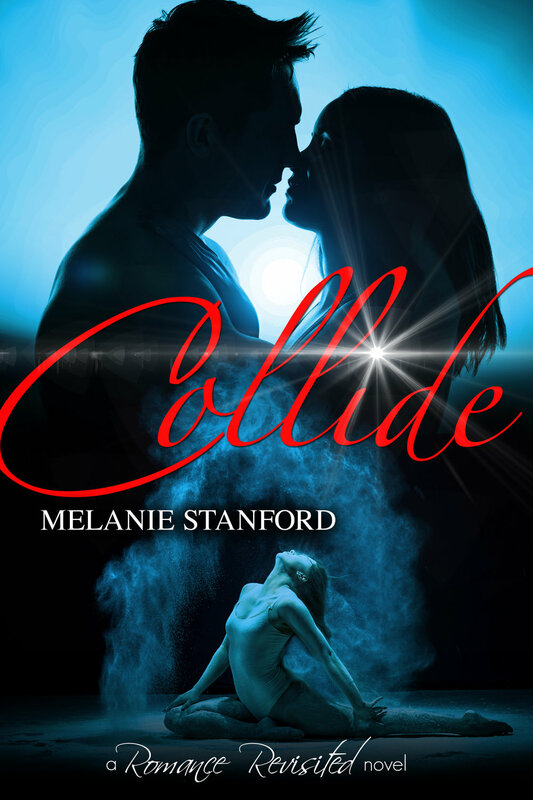 Today is the release date of one of the best books I’ve read this year, Collide by Melanie Stanford. This book is a modernisation of North and South by Elizabeth Gaskell and the story in it is absolutely amazing!! I loved everything about it, namely the character development, so I’m very happy to receive two of the characters today for a character interview. Please join me in welcoming Melanie, Jay and Maggie to our parlour, and please do not miss the opportunity to read this book. I’ll be posting my review very shortly, but I would like to tell you this one should not be missed! Thanks Rita, for having me today! It’s awesome to find other fans of Elizabeth Gaskell’s North & South. It’s such a great book and miniseries, and I hope you enjoy my modern take on it. COLLIDE is set mostly in Vegas. My Maggie leaves her small town behind to pursue her dream of becoming a contemporary dancer. My Jay is an enforcer to a loan shark who basically beats people up for a living (oh dear). But he’s hoping to quit all that and own his own boxing gym one day. Unfortunately, neither of them can get what they want because the other person is standing in their way. Is there a happy ending in sight? Read on as I interview Maggie and Jay… maybe they’ll give a few things away. Melanie: How did you two meet? Maggie: He was beating someone up. It wasn’t pretty. Jay: *shrugs* It’s a job. Somebody’s gotta do it. Maggie: I’m pretty sure they don’t. Melanie: Moving on… What did you first notice about each other? Aside from the beating part. Jay: She was tough. She stood right up to me. It was pointless, but I liked it. Plus, her legs. Maggie: It was his eyes. Not the color, but the way he looked at me. It was totally intense, like he was memorizing everything about me, or like, taking me all in, if that makes sense. Melanie: *clears throat* What do you like best about each other? Jay: Did I mention her legs? Jay: Her courage. Her strength. Her faith in me. The way she makes me better. Maggie: Oh man, I could’ve made a list a mile long before, but now? Sometimes he has a hard time opening up. And he’s got a bit of a temper. Jay: Which I’m working on. Maggie: Which he’s working on. Jay: Sometimes Maggie says or does stuff without thinking. Jay: It’s true. How many times do you get up in people’s business? Maggie: I’m just trying to be helpful. Jay: You don’t have to all the time. Jay: She can’t help it. Melanie: Alright, I’m going to lighten things up a bit. Do some rapid-fire questions. What’s your favorite song? Maggie: “Song of the Caged Bird” by Lindsey Stirling. Maggie: Hmm, I don’t know. Smokers? Or people who honk their car horns. And shout at each other. It’s so noisy here. Jay: I don’t really read. Maggie: I’m trying to get him to read Harry Potter but he won’t. *shoots him a dirty look* Mine is probably The Time Traveler’s Wife. Melanie: If you were a Disney character, who would you be? Maggie: He’d be Grumpy. *laughs* Just kidding. Maybe the Beast from Beauty and the Beast. Jay: *scowls some more* She’d be Moana. Maggie: Wait, you’ve seen Moana? Melanie: Do you believe in love at first sight? Melanie: Last question. What can’t you live without? And there you have it. I guess Maggie and Jay get their happy ending after all, but it wouldn’t be a North & South retelling if they didn’t! You’ll have to read COLLIDE to see the journey it takes them to get there. 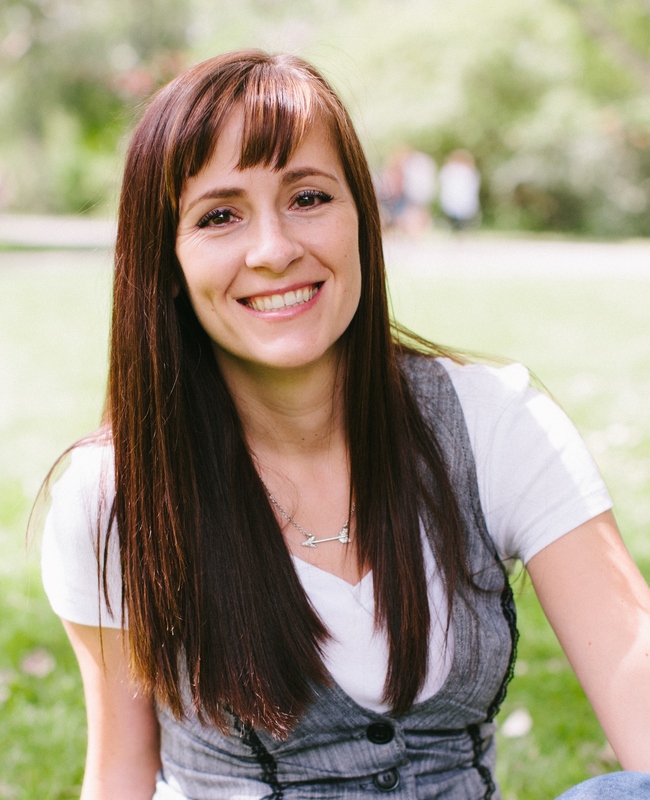 Melanie Stanford writes romance and YA of different genres. Her first novel, SWAY, a modern-day retelling of Jane Austen’s PERSUASION, debuted December 2015 from Samhain Publishing and was shortlisted for the Kobo Emerging Writer Prize. Since Samhain’s closure, Melanie decided to republish SWAY herself, along with the rest of her Romance Revisited series: CLASH, a Romance Revisited novella, COLLIDE, and a third novel coming 2018. She also has short stories featured in the Austenesque anthologies THE DARCY MONOLOGUES and THEN COMES WINTER. Melanie reads too much, plays music too loud, is sometimes dancing, and always daydreaming. She would also like her very own TARDIS, but only to travel to the past. She lives outside Calgary, Alberta, Canada with her husband, four kids, and ridiculous amounts of snow. Melanie would like to offer to one of our readers a 25 $ Amazon gift card so that you can obtain any of her books. To enter the giveaway click here. What a fun character interview! I love this pair. Just began reading sway over the weekend. Can’t wait to read more by you. Thank you! Hope you enjoy SWAY! Love North and South variations. This one is definitely going on the TBR list. Thank you! I definitely think North and South is underappreciated, but the movie really nails it. I love North & South and am so happy to see a modern variation of it. Wonderful interview with Maggie and Jay. I wonder if Mama Thornton and Fanny is in this? I was fortunate to read an advanced copy. Fantastic, clever story! I think it’s your best yet, Melanie! Congratulations. Thanks Melanie! Sounds like a good book. Congratulations on your new book. I recently rewatched North and South miniseries so I would love to read your retelling. I have to get over the boxing part, though. Thank you for the interview and giveaway. Thanks! It is a bit different from the original and I know die-hard fans of N&S might have a hard time with the changes I made, but hopefully they make sense as a whole. I love North and South but so far I usually only read sequels and variations about Darcy and Elizabeth. However this sounds really good so I may be tempted. Anyway I will add this to my wish list. Thanks Glynis! I sing really loud too, and my voice isn’t that great, but oh well, it doesn’t stop me from belting. Lol. Congratulations! I loved the interview and all the scowling! Looking forward to reading this. My dad loved watching boxing…can’t say that I am, but appreciate the technical and fitness aspects of it. I’m actually not a boxing fan myself, but my son did Muay Thai for a few years. I talk about why I made Jay a boxer on another blog tour stop. What a great post! Oh Rita, I remember you messaging about losing yourself in ‘Collide’, and how much you liked it. Congrats for releasing yet another fabulous book, Melanie!! It’s always good to hear about N&S variations. What a cute interview!Would love to read this N&S modern variation!! Going on my TBR list now. Going on my TBR list right now!